Low Glycemic Index refer to a certain group of foods (usually wholegrains, lentils, pulses, nuts, seeds, fats, and certain fruits and vegetables) that release their sugars slowly into the bloodstream over a sustained period. This low glycemic food list will show you the best foods to eat to keep your blood sugar on an an even keel, in turn helping you avoid the kind of insulin response that encourages your body to store fat. Insulin is a hormone produced by the pancreas and it is released in response to sugar in the blood. It signals to the muscle, liver, and fat cells to uptake these sugars from the bloodstream and either use them for energy, OR stored them as fat (which is bad thing as this type of fat usually goes on around the middle where it can be dangerous, and the precursor of disease). But insulin is also designed to keep blood sugar levels stable: too high can cause hyperglycemia and too low can cause hypoglycemia; both of which can be dangerous conditions if left untreated. The body is producing insulin after every meal, but if it’s a high carb/sugar meal then you will have a high insulin response which is exactly what needs to be avoided as much as possible. If this keeps occuring rugularly, as it does in most people, then over time this can lead to insulin resistance, in turn leading to all sorts of problems the most prominent being type 2 diabetes. However, how high your insulin response is after a meal is not always a clear cut thing. For instance, you can get away with eating sugar a lot more if you have it with fats, protein, and fiber as all these things help to slow the release of those sugars into the bloodstream. But if you were to eat just pure sugar on its own then it would be released very fast, thus causing a very high insulin response – so it’s not always about what you eat, but what you eat it with! Insulin promotes fat storage, and is part of our survival mechanism ready for times of need, but we rarely need this mechanism nowadays as most of us live in a world of food abundance. Every time we eat refined carbohydrates, such as white sugar, flour, rice, pastries, cakes and confectionery, the sugars in those foods will hit the bloodstream quickly and cause a rapid insulin response. Unless you’re about to run a marathon, or do a hard workout, then these high calorie sugars will not be needed for energy. And if they’re not burnt off they end up being metabolised and pushed into cells to be stored as fat which of course, is not good thing for most of us. Unfortunately, and here’s the real kicker, this sugar usually goes on as dangerous belly fat; the kind that increases your risk of heart disease, metabolic syndrome, and diabetes. Fiber slows this process down, which is why low GI foods, such as wholegrain breads, pasta, rice, sweet potatoes, whole fruits, leafy green vegetables, legumes, nuts, and seeds should all be eaten in abundance on the low GI diet. Getting off the adequately termed ‘sugar train‘ can be a nightmare, as most of us have some level of sugar addiction going on. The very best you can do to keep your sugar levels stable is to always eat as low GI as possible, AND also to food combine correctly. For instance, eating low GI foods with equal amounts of protein, and a little fat, will not only help slow down the sugar release, but also keep you full and satiated for hours. This in itself is a great weight loss tool that will help to stop sugar cravings and snacking. An example of low GI food combining would be something like oatcakes, wholegrain rice cakes, or a piece of fresh fruit with sugar free peanut butter. Oatcakes are a wholegrain that is full of satiating fiber, and when combined with peanut butter which is high in protein and heart healthy monounsaturated fat it makes for a perfect low GI snack. Clear the junk out of your life! Clearing your life (and your kitchen cupboards) from unhealthy and high GI foods is something you may need help with tackling, and should be done one step at a time. New habits work much more effectively if they are taken in bite size chunks (excuse the pun). To make these changes in a smooth and easy manner then please check out these 10 easy steps to clean eating for tips and strategies on how to begin a clean, healthy plant based lifestyle that will be the start of a journey that I promise you will make you feel amazing, and even change your life FOREVER. You will start to notice a big difference in your mood as low GI foods keep your blood sugar stable, and stable blood sugar equals stable mood; the two just go hand in hand. Also, stable blood sugar plays a very big role in anxiety, depression, PMS, and other mood disorders. Few people who suffer depression and anxiety actually make the correlation between their diet and their mood, but sorting my diet out was one of the single MAJOR reasons I was able to conquer severe depression. Cutting down on sugar and eating wholegrains instead of refined carbohydrates totally changed my life, that along with high strength omega 3 fish oils, and also, most importantly, physical exercise (the best for depression being weight bearing exercise such as gym, kettlebells, HITT, and power walking). Yes, doing all these things saved my life so do not for a second underestimate how powerful these simple changes are, and also so much better than any tablet from the doctor. Every time you have an insulin response from high GI foods your cells will go into accelerated aging mode (now that’s scary), making not only your skin more wrinkly, but everything else on the inside and out will age more rapidly too. 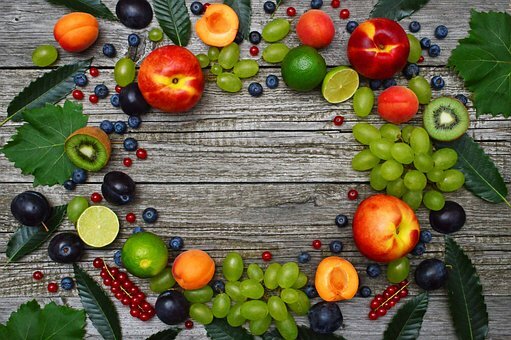 Eating a low GI diet, along with lots of high antioxidant fruits and vegetables plus powerful green superfoods, will really help your body to regenerate rather than degenerate – thus slowing down the aging process and keeping you looking youthful for longer. These things, along with other natural anti aging supplements, will not only make you glow, but more importantly give you heaps of energy and help protect you from many diseases in the process. A low GI diet will keep your blood sugar stable, which in itself can help treat and stave off diabetes, heart disease, and obesity. Unfortunately, these nasty diseases have a long list of side effects in themselves, making a low GI diet along with a good fitness plan absolutely vital for long term health. MEAT AND DAIRY IS NOT ON THE GI RATING SCALE AS IT DOES NOT CONTAIN ANY CARBOHYDRATES, BUT IN ESSENCE THEY ARE LOW GI. Thanks for reading this post today. Please leave any relevant comments below and I will be sure to answer them as soon as possible. I would love to hear from you, and am always happy to help with any questions about low GI eating and the plant based diet in general. Thank you for such an informative post. This post can definitely benefit many people with diabetes as well as people that like to have a healthier diet. I love sweet potatoes, nuts, seeds, and avocados. Avocado is my favorite fruit of all and I make avocado salad on a weekly basis. It is delicious. I will be sharing this post to my friends that have diabetes. Hi Hong, I’m glad you enjoyed the post and that would be great if you could share with your friends who have diabetes as it would be of fantastic help to them I am sure. Yes, I love all those foods too, especially avocados, they must be one of the healthiest foods around in terms of blood sugar control, weight loss and good monounsaturated fats. Can’t recommend them enough and I make sure to have at least half an avocado a day. Great information on low glycemic eating. I have a few people in my family that have just discovered they are in onset of diabetes and I will be passing this information on to them. I have already changed my eating habits to include many items on your list. You have done a good job of explaining the benefits and I feel what we eat can make a big difference in our health. Hi Monika, I am so glad this list has helped you and yes they can probably reverse the onset of diabetes if they start to eat like this as soon as possible. I really hope you can convince them to change their eating habits. This can be tough though, especially when there is a life time of conditioned thinking about food. It’s something that may need to be tackled one step at a time which is why I also created this post How To Eat Clean – 10 Easy Steps. Please also show them this as it may be of a big help. Wishing you and all your family all the best for their health and the future, and I would be happy to help if you have any more questions. Just drop me a line! I have the link to an article below Too. Best! Hi Jorge, You are absolutely right, education is definitely key. I’m often surprised to see how many people, even with all the information out there, still have little idea about nutrition and are walking around sick and depressed and a million other things. That is why I love what I do, and it feels great when I can help others feel as good as they should. This is a great list of glycemic foods. My son’s doctor told me that he needs to start eating less sugars, because of a genetic disorder he has. This can cause him to get diabetes. I have tried talking to him about this, and how scary diabetes is. He can prevent it now, or have diabetes his whole life. So, are these foods the ones that he needs to stick with for this? We have not been back the doctor yet to have this discussion. Thanks! Hi Leahrae, I’m sorry to hear about your sons condition, and yes he most definitely can stop it becoming full on diabetes which would obviously mean then he would then have to cut all sugar out of his diet. As it stands at the moment, and if he balances his food he can probably get away with odd treats etc. But although I am a sports nutrition consultant I am not doctor so check with him as well. And yes these low GI carbohydrate foods on my list are the foods he should be eating (and are the foods everyone should be eating to stop diabetes as it is so common). Try to balance them with protein and fats as this will slow down those sugars even more. If he really does have to have sugar then never have ‘just’ sugar if you know what I mean. Example, never eat dried fruit alone, always mix it with nuts for fats and protein. 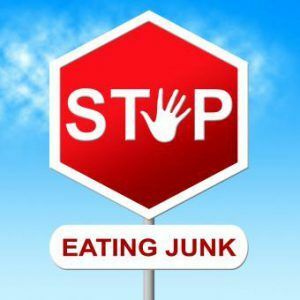 In fact you should read my post as there is much better information in there on slowing down carbohydrates in your food. The great thing about eating low GI and food combining like this is it will stop you craving sugar anyway so it shouldn’t be to much of an issue when you get used to it. Please let me know if you have any more questions and I will be happy to help. Hi Stefanie, thanks very much for this information which I will use for guidance and improving my diet. Your’e welcome Alan, I really hope it helps you, and if you need any more guidance please do not hesitate to ask as I m always happy to help. This is a great post. I loved it and am going to share with everyone I know. I find the low glycemic food list very handy and useful. It will help us in selecting the right food, so really helpful post Stefanie and thank you so much for sharing. I always get the best health advice, tips and all sorts of information from your website, you are a superb person. Hi Sarah, yes it is very important to eat low GI for health, and keeping slim also of course! And it is especially useful to have a list to be able to go on and even take shopping with you. Thanks for the nice things you have said and I am glad you find my website helpful to you.